The United States announced today the launch of its new two-year, $4 million Feteh project to support the strengthening of the independent rule of law institutions in Ethiopia. Feteh, meaning “justice” in Amharic, is funded by the United States Agency for International Development (USAID), according to a press release the US Embassy sent to FBC today. The project will provide technical support to the Attorney General’s Office and the Supreme Court’s efforts to expand their independent decision-making and oversight capacity. USAID’s Feteh project will strengthen the overall capacity of the Attorney General Office directorates and agencies, and provide technical support to the AGO advisory council and secretariat for their ongoing legislative initiatives. The project will also support the Federal Supreme Court of Ethiopia in its efforts to strengthen commercial benches, revise various framework laws – including the Law on Judicial Administration and the Law on Federal Courts – and enhance its case flow management to improve efficiency. 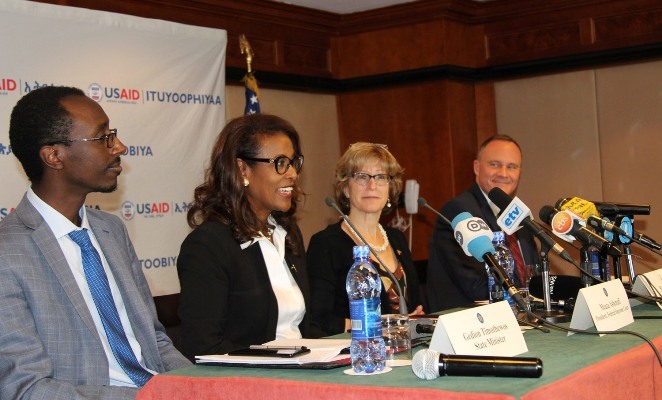 President of the Supreme Court, Meaza Ashenafi joined USAID Deputy Administrator Bonnie Glick and Ambassador Michael Raynor to announce the new collaboration at a launch event in the capital city. The United States has invested approximately $4 billion in development and humanitarian assistance in Ethiopia over the past five years to enable people across the country to lead healthier and more prosperous lives.